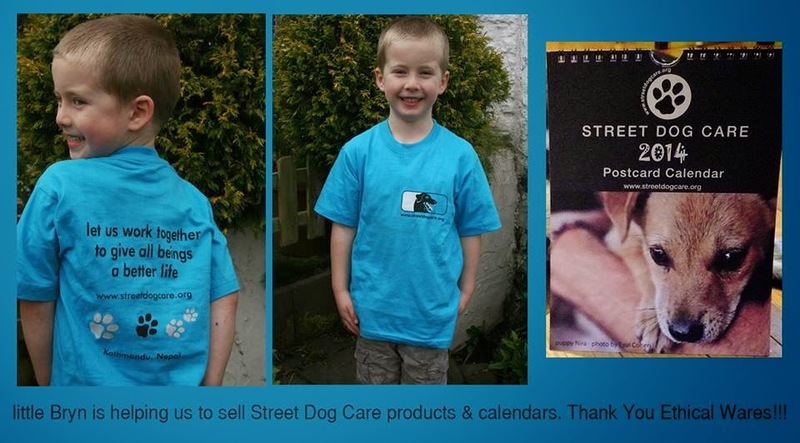 Our son Bryn doing his bit to promote the Street Dog Care charity in Nepal and in particular their 2014 calendar (in stock here now!). SDC work with stray dogs in the Kathmandu Valley area in Nepal where poverty and a traditional ignorance of the needs of stray animals means their help is in much demand. 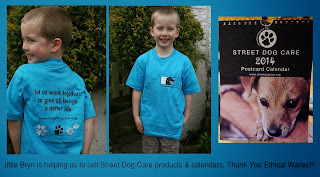 All the proceeds (less VAT and postage) from the sale of their T Shirts and bags, and now the calendar, sold through ethical WARES goes back to Nepal to support their wonderful work.